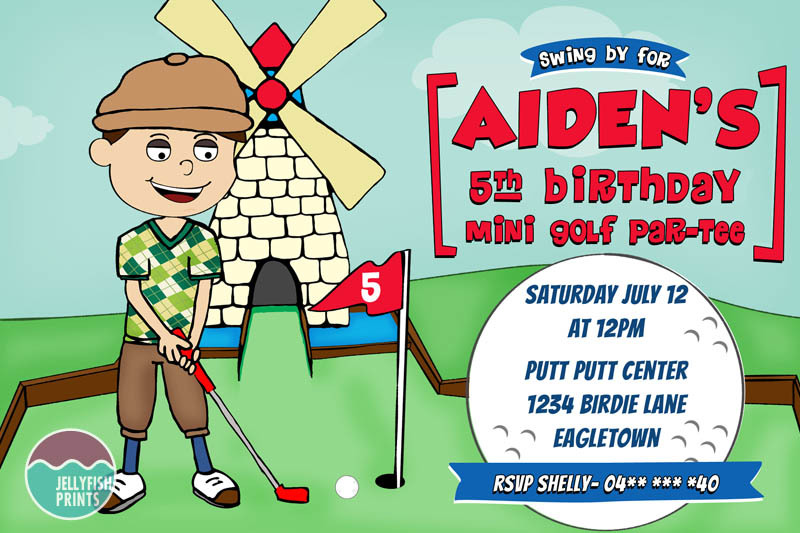 Printable Mini Golf Party Invitation for a kids birthday party. Having a Mini putt putt birthday party with your friends and family? Get our mini golf party invitation design customised with your party details and a photo of the birthday boy or girl if you wish. 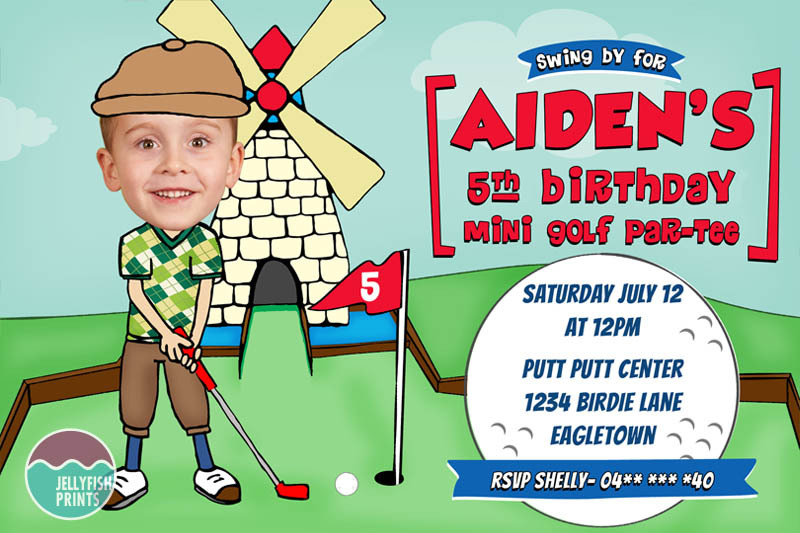 Your printable mini golf party invitation will be personalised with your party details and photograph if applicable.